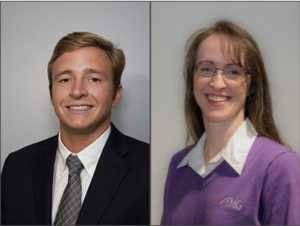 TMG Teammates become ASQ-Certified Six Sigma Green Belts - TMG, Inc.
Hampton, Virginia – The Certification Board of ASQ is pleased to announce that Daniel W. Barto and Lori A. Gelinas have each completed the requirements to be named an ASQ-Certified Six Sigma Green Belt, or ASQ SSGB. In order to sit for the Six Sigma Green Belt (SSGB) examination, an individual must have three years of work experience related to the Body of Knowledge. Certified SSGBs apply tools and techniques from the DMAIC model (define, measure, analyze, improve and control) while working on Six Sigma projects under the supervision of a Black Belt.